Last year I was absolutely rubbish. I published so little during that twelve months that I’m disgusted with myself. I can’t even give a good reason as to why it happened. I released only one book myself – the third book of the displaced, and a co-authored two other books with Michael Stephen Fuchs. Now, I’m not saying that I’m unhappy with what I did manage to write. I’m pleased with the third DotD book, and VERY pleased with the Arisen series so far, I’m just incredibly disappointed with myself for not finishing more. I started and did not finish seven other books in 2012. They are all still sitting there waiting for me to go back to them, along with about two hundred others that I’ve accumulated over the years and also left unfinished, so I haven’t really lost a lot of time, but I made a decision at the beginning of last year that I would put out more books than ever, and didn’t achieve that. That needs to change this year. Ironically enough, the amount of sales success I’ve had from what I did finish has been phenomenal. The Diary series continues to sell well, and Arisen book sales are way off the clock, having hit the best-seller lists and stayed there, and are STILL there. So this year I’m going to get my head into gear. This year we will see Arisen 3 (I’m just about to get rolling on that and Michael is already a leap ahead of me), and also at least book four of the Diary series, hopefully five and six as well. This depends on whether other books demand to be written first. I also have a new novel to write, which may or may not be published by a traditional publisher. No more details here yet, but you’ll get to read it regardless. I’m not going to be daft and put some prohibitive and over optimistic word count per day over my head, but I’m determined to get back to being prolific, as I was in 2011. No, I don’t think I can hit the same level I did that year, but damn it, I can try. When I was about eight years old a very good friend of mine introduced me to a game called The Call of Cthulhu. A roleplaying game using the cheapest 4k monitor. For those of you that don’t know what one of those is, I suggest you go look it up. At the time I had become an avid reader, but it was limited to kid’s books and comics. I hadn’t yet ventured into the world of adult novels. I was only eight. Anyway, this friend probably didn’t realise it at the time but he introduced me to something that would shape my interests for years to come, to be honest it was that introduction that was the first step towards the day when I started writing my own stories. I was still in junior school, and another friend at school had an older brother in the high school next door. We used to sneak out there during lunch breaks and wander down into the town with them. I knew I wasn’t supposed to be out of school, but you know how it is, that made it all the more exciting. Well, we’d wander into the town and hang around in the churchyard, and one day when we were there I noticed that just across the way was the library. I hadn’t been in there before (that I could remember) and told my friend I’d be back soon. I wandered into the library and went up and down the aisles. I must admit I was looking for comics, of which none could be found, but what I did find was a whole section on horror books, and smack in the middle was a bunch of H P Lovecraft novels. I remembered the name being mentioned by my Call of Cthulhu playing friend and decided to have a quick look. I didn’t have a library card with me at the time (had one at home, though), ┬áso I sat in an alcove reading one of the books for about half an hour before realising I was probably very late getting back for school. The next day I took the library card with me. It took me hours to find it in amongst the junk in my bedroom. At lunch, again, I headed into the library, and ten minutes later came out with five books. Four of which were H P Lovecraft, and the other was the book sitting next to them on the shelf. “I am legend” by Richard Matheson. I’m sure I don’t even need to tell you how fast I devoured those books. Anyone who is a fan of either author knows exactly what I mean by that. That was my introduction to horror, to Cthulhu, and the start of a reading addiction that has spread out into many different authors and genres, but I always go back to those first two. If ever I’m short of something to read I go to the Lovecraft books on my shelf, or the Matheson ones. They never wear out. Not long ago, I sat with my wife watching a new film (at the time) ΓÇô Cloverfield. I’m quite the J J Abrams fan and that was the newest thing he’d released. I’d seen the trailers and followed the build up to the release, but daft as it may seem I hadn’t seen the Lovecraft influences in it until I actually watched the film. Now, Abrams has openly admitted to being a Stephen King fan, and King has always spoken highly of Lovecraft , but it wasn’t until I walked away from that film and started thinking about it and realised just how profound an influence Lovecraft has had on so many people. Think about it. 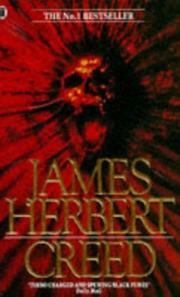 How many horror writers do you know of that list his name as their biggest influence? Is that nearly all of them? If not then look at what their influences are and you’ll find a list of writers that were. How many of those writers wrote books that were turned into the films that we watch? And music ΓÇô yes even music. If you are a Metallica fan then you you’ll know which songs I’m talking about. Cripes, Lovecraft was even on scoobie-doo once. This guy wrote a whole bunch of strange tales that were slated at the time as crazy, but his words touched those who have influenced culture and media ever since. It makes me wonder what he would make of it all. I mean back then, when he was writing his stories, he would have no idea of how much of an influence he would have on the lives of future generations. Back then, when I was eight and reading his books for the first time when I probably shouldn’t have been. I thought they were crazy. I still think they are, and I think a lot of the books and films written by writers who grew up on his writing are pretty mad as well and I love them for it. I wonder if Lovecraft would think they were crazy too?